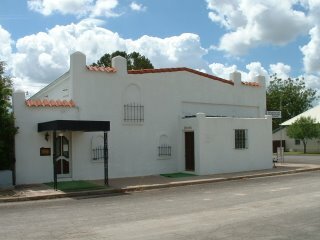 Here's some pictures of the new cluub building in Marfa, TX. The address is 225 W El Paso St. It's a former funeral home and may have been a gas station bfore that. 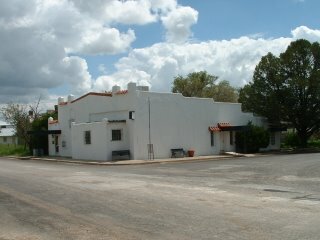 The building is mostly adobe with a tin roof. Several additions are wooden with concrete floors. There's a large garage are out back that used to be a docking area for the hearses. Projected opening of "Padre's Marfa" is Nov 2007. Renovations will be extensive. I'll be the general manager.